Read Lauren's review of Widows. Set in contemporary Chicago, amidst a time of turmoil, four women with nothing in common accept a debt left behind by their dead husbands' criminal activities, take fate into their own hands, and conspire to forge a future on their own terms. 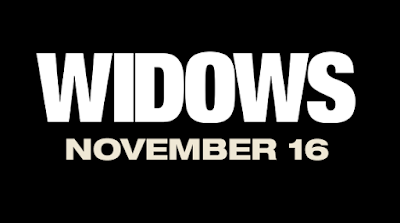 Widows is in theaters on November 16th, 2018. 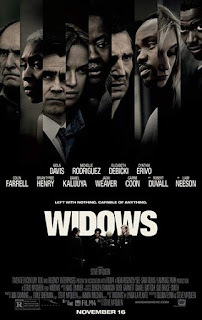 Anytime I see a movie or TV show with Viola Davis – I instantly know that I’m interested, and Widows was no different. Add in Steve McQueen directing and Gillian Flynn on the screenplay, I knew this was going to be a crazy movie and I was not disappointed. Widows kept us guessing until the VERY end, and the cast delivered amazing performances, although I was still left with a lot of questions due to the lack of character development. Widows starts with a police shootout that leaves 4 thieves dead in Chicago. Each of the men leaves behind a mountain of debt to shady criminals that puts their widows – Viola Davis, Elizabeth Debicki & Michelle Rodriguez stuck cleaning up the mess. These women, led by Viola Davis’s character Veronica and with nothing in common apart from this debt, join forces to pull off the ultimate heist. What ensues is a violent, emotional thriller as we watch everything unfold. As this heist is being planned, we also see the political aspects of Chicago, with prominent politician Jack Mulligan (played by Colin Farrell who had a confusing New York accent in the middle of Chicago) running against shady Chicago native Jamal Manning. To the public, he’s a prominent political figure committed to changing the city, but beneath the surface he and his brother, Jatemme Manning, played by Daniel Kaluuya (who was absolutely terrifying) are the ones whose money was lost in the heist. There were so many twists and turns and surprises that make for an awesome thriller as Gillian Flynn does, but this movie left a lot of questions that were never answered. This movie was over 2 hours long, but we really didn’t see much character development. Liam Neeson plays Henry Rawlings, Veronica’s husband and leader of the heist, but we never actually learn what his job is. Is he honestly only known in Chicago as a robber? How did he get to this situation? What was the significance of the heist book that he left behind? A man was tortured over it and then the whole thing was glossed over. We learn a secret plot twist and they never delve into how/why it happened or what happens to certain characters offscreen. While I really liked the premise and the women were total bosses throughout the movie, there was a bit more information I needed to fully understand what was going on and why.